Egypt's President Abdel-Fattah El-Sisi has ratified the approval of a $500 million World Bank investment in Egypt’s education reforms, to support increasing access to quality Kindergarten education, improve the quality of learning and adopt technology. 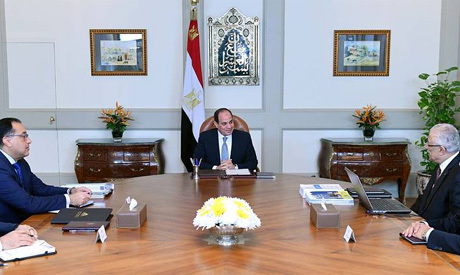 The decision was published in Egypt's official gazette on Thursday. The project will expand access to quality Kindergarten education for around 500,000 children, train 500,000 teachers and education officials, while providing 1.5 million students and teachers with digital learning resources, according to the World Bank's press release on the loan in April 2018. The five-year Supporting Egypt Education Reform will help transform the education system through bold modernization initiatives. The project is aligned with Egypt’s "2030 Vision" sustainable development strategy, which puts a strong emphasis on the critical role of education sector reform in Egypt’s social transformation. "The project aims to achieve its goals by improving access to quality Kindergarten education and the quality of early childhood education, developing a reliable student assessment and examination system, enhancing capacity of teachers, education leaders and supervisors, and using modern technology for teaching and learning, assessing students, collecting data, as well as expanding the use of digital learning resources," according to the bank. Egypt increased allocations for education and health during 2018-2019, reaching EGP 257.7 billion compared to EGP 222 billion in the previous fiscal year. The World Bank finances programs and projects to help Egypt reduce poverty and boost shared prosperity. The focus of Bank support includes social safety nets, energy, transport, rural water and sanitation, irrigation, social housing, health care, job creation, and financing for micro and small enterprises. The World Bank currently has a portfolio of 16 projects with a total commitment of $6.69 billion.